The suicide bomber who blew himself up outside Manchester Arena, killing 22 people after an Ariana Grande concert, bought most of the parts used to create the explosive device himself, police said Wednesday. "Our enquiries show Abedi himself made most of the purchases of the core components and what is becoming apparent is that many of his movements and actions have been carried out alone during the four days from him landing in the country and committing this awful attack," Detective Chief Superintendent Russ Jackson, head of the North West counter terrorism unit, said in a statement. 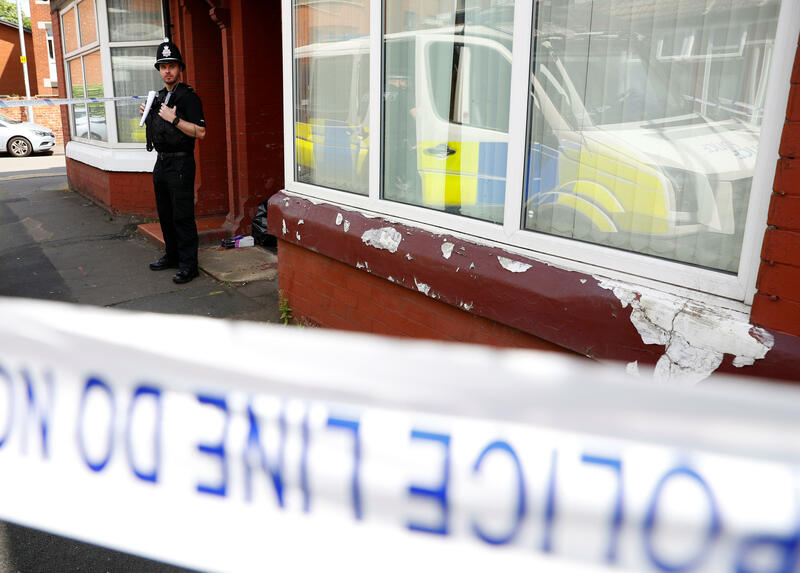 Despite this, authorities cordoned off and searched a property on Banff Road in Rusholme as 11 people remained in custody on Wednesday. Jackson said it was "vital that we make sure that (Abedi) is not part of a wider network and we cannot rule this out yet. There remain a number of things that concern us about his behaviour prior to the attack and those of his associations which we need to get to the bottom of." On Tuesday night, former Oasis front-man Liam Gallagher played a solo concert in his hometown of Manchester to honor the victims of the attacks. Tickets for the hour-long show sold out in minutes, and all proceeds were to be donated to the families of those affected. Ariana Grande, meanwhile, announced that she and other stars -- including Justin Bieber, Coldplay and Miley Cyrus -- would perform at a benefit concert in Manchester on Sunday night.